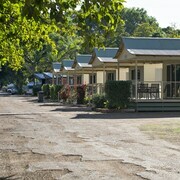 Loved the location of this caravan park, right on the waters edge. 5 mins from centre of town and lovely and quiet. 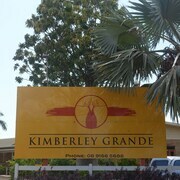 Which hotels are closest to the Kununurra airport? 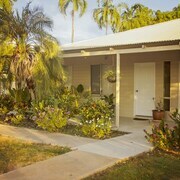 Where to stay near top Kununurra attractions? What kind of hotels are in Kununurra? Which hotel chains are in Kununurra? Visitors to Kununurra are sure to enjoy the lakeside. Tourists can also enjoy so much more including its waterfalls. The city's natural setting is picturesque, including the lakeside and such places to visit as Mirima National Park and Celebrity Tree Park. Additionally, you might want to add Zebra Rock Gallery to your agenda. 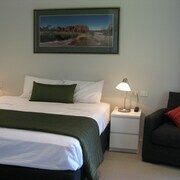 Freshwater East Kimberley Apartments - This 4.5-star apartment features an outdoor pool, free WiFi, and free parking. It's a favorite with Expedia travelers for its pool and convenient parking. 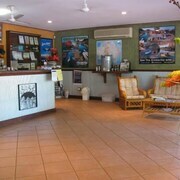 Wunan House - Our customers like the central location and helpful staff at this B&B. This 3-star bed & breakfast features free breakfast, free WiFi, and free parking. 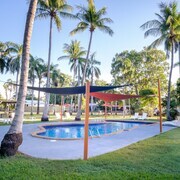 Ivanhoe Village Caravan Resort - With a stay at this 3.5-star campground, guests can enjoy access to an outdoor pool and parking, along with WiFi. Expedia customers like its helpful staff. 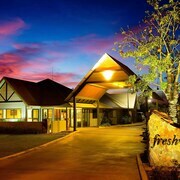 What are the most popular hotels in Kununurra? 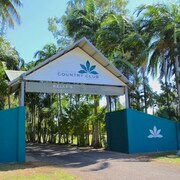 Are there hotels in cities near Kununurra? 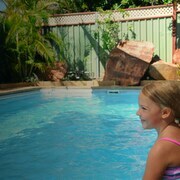 Explore Kununurra with Expedia.com.au’s Travel Guides to find the best flights, cars, holiday packages and more!